UnLtd's Big Chat Breakfast Series... Part Two. In my last blog post I set the scene of UnLtd’s Big Chat breakfast series hosted by Snapchat in their rather stunning offices! If you’ve not read it yet, just head back here before continuing on. So, to the main event…. First up was Megan Gilmore from Missing School. Like many entrepreneurs working in the technology space, Megan’s motivation and drive comes back to people, and our emotional needs. For her, robots are for good. As there is so much fear-mongering about robots taking our jobs and potentially turning on us, it was nice to ‘meet’ a very friendly and co-operative robot designed to help sick kids stay connected to their peers. Not only does the telepresence robot enable the student to stay up to date with their lessons from home or hospital, but the robot also allows them to interact with their classmates so they don’t fall behind socially either. Operated by the student, the robots provide a two-way connection over which the student can move around the class, see, hear and respond in real time. Through a tough personal experience, Megan wanted to provide her son with the knowledge that he was worth educating. She needed him to know this because she always believed he had a future. This lead her to set up Missing School, and lead research into the robots which will provide hope for so many children. Following Megan, Max Learmont and Nolan Yu shared their current project for Hear for You. Utilising the existing game MineCraft, the boys have facilitated the creation of an online community of deaf or hard of hearing teens called League of Hearoes. Just like Missing School, the underlying motivator of the work is connecting real people. It was interesting listening to the boys ideas on how to grow and monetise the project from a marketing perspective with an aim to collaborate with brands through sponsorship and in-game advertising. Sam Adams Nye provided the third and final presentation. Sam is the Head of Partnerships at Folo, part of The Pure Collective which believes “that despite our differences, the value we create together, is much greater than in isolation”. As a profit for purpose organisation, The Pure Collective is a family of social businesses with philanthropy at their core. Their cafes and restaurants not only raise funds for great causes, but also run scholarships to prepare refugee and asylum seeker students for employment. 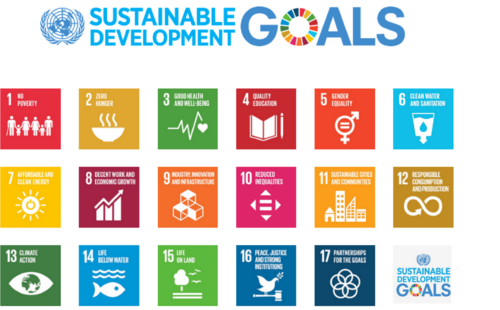 As a step away from this model, Folo uses technology to raise money for select causes which embody Folo’s interpretation of the UN’s Sustainable Development Goals (SDG’s). This is done in an ingenious way in which the consumer doesn’t need to part with any extra hard earned cash! So, how it works is you download a free extension for your browser which generates donations from your online shopping (as if I need an excuse…). The donation is a commission paid by the retailer to Folo for directing your sale to their website. So it’s good for partnering retailers as Folo promotes their store in search results, and its good for consumers as we can raise funds for valuable causes through our online shopping habits without spending any extra. Win-win! You can then select the cause you want to support from the list of SDG’s through your Folo account dashboard. Easy! So there we have it, three new ways technology is being used for good, right on our doorstep. In a time when we are experiencing a sometimes uncomfortable relationship with technology, it’s great to see ways through this, and a pathway into the next phase. If you want to find out more about UnLtd and the work they do, head over to their website to see how you can get involved. The secret to happier work….